Expect the finest luxuries at Hotel Abhimaani Vasathi and be assured of a pleasant stay. With various modern and basic amenities available, guests are sure to enjoy a comfortable and convenient stay. 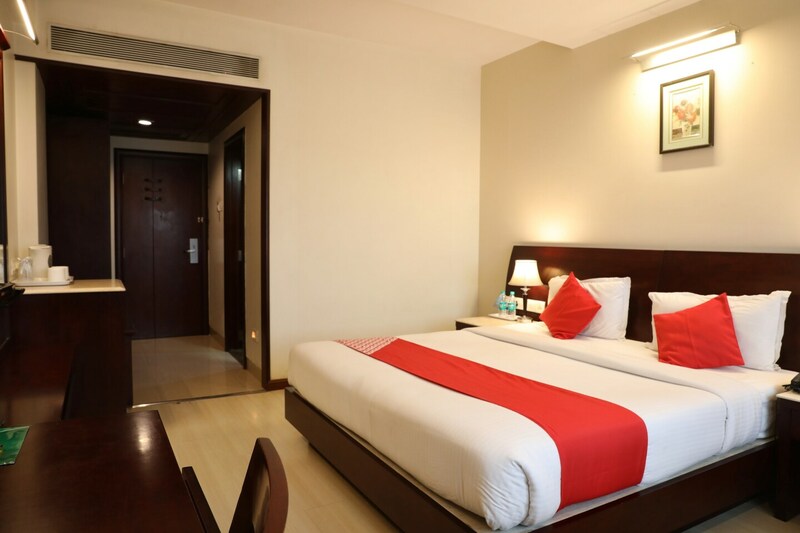 The rooms are bright and spacious with wooden furnishing adding a modern charm to the overall decor. The hotel even offers a banquet hall and conference room which can be used by guests for various events. There is also an in-house restaurant and bar for guests to relax and enjoy tasty treats. Guests need not worry about missing on their workout as there is a gym area available in the hotel itself. Laundry and parking facility is also available for guests.